I don’t know about you, but I have always had a sweet spot for political/military mysteries and thrillers, mostly because there is always some kind of deep and complex conspiracy at work covered up by a large and convoluted web of deceit. There is just something exciting about imagining the people at the very top fighting each other with intelligence rather than their fists. 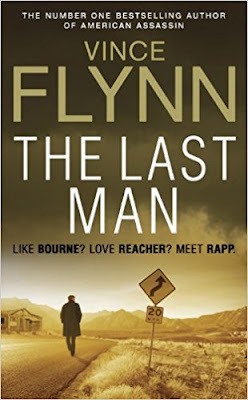 In any case, that expectation is what drove me to check out The Last Man by Vince Flynn. The story begins with the kidnapping of Joe Rickman the head of CIA clandestine operations in Afghanistan, with all of his bodyguards being executed. 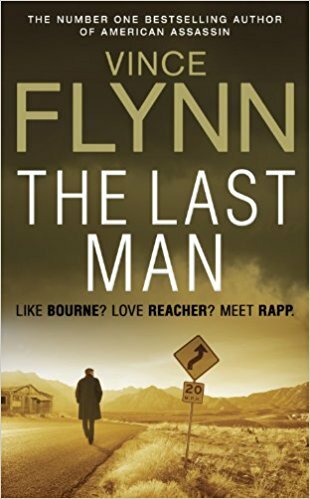 Mitch Rapp, what you could call the CIA’s trump card, has been dispatched into Afghanistan by the director of the CIA, Irene Kennedy, in order to find to find Rickman. However, things slowly start to take a turn for the weird, as Mitch soon runs into the FBI, who are concerned with things other than finding Rickman. Bit by bit, Rapp becomes entangled in a dangerous game with his own government, with there being pretty much nobody for him left to trust. To be honest, this is one of the more entertaining political thrillers I have read up until now. Unlike many other books in this genre, this one advances at a much brisker pace, with there being logical yet still surprising twists and turns at every corner. Flynn did a great job of keeping me on edge until the very last page, and unlike in many cases, I actually found myself caring for the characters in this story… at least some of them anyways. Also, I won’t give away the ending, but throughout the entire story there was a feeling that nothing was set in stone; just because Rapp was the protagonist did not guarantee success or a happy ending. Again, I won’t say which way things go, but rest assured you won’t be disappointed. All in all, I recommend it to anyone who enjoys what I've described in at the beginning of my brief review. 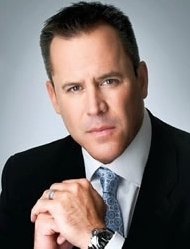 Vince Flynn was an American author who mostly specialized in politic thrillers, and has actually served as a consultant for the fifth season of 24. He is most famous for bringing to us the Mitch Rapp series, with some of his more popular books being Consent to Kill and Transfer of Power. Like many of us (I assume), Greg Gutfeld hates stupidity and how it has made our daily lives into a joke, at least the second we take the time to step away and look at ourselves from a distance. Greg believes that all of it stems from our so-called open-mindedness and unconditional tolerance. It’s as if people can be as stupid as they want as long as they do it in a socially-approved way… you can easily live as a racist bigot, as long as you are politically-correct about it. It seems that David Baldacci has a certain liking for writing stories about super special agents from governmental agencies, as was seen in one of his most prominent works, The Innocent. 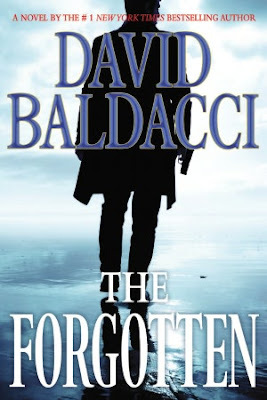 In The Forgotten, Baldacci revisits a similar concept, following the work of John Puller, a special agent in the U.S. Army. Right before his aunt died living out her days in the ironically-named town of Paradise, Florida, she sent a letter to Puller in which she suggested that beneath this tranquil resort inhabited by retirees and wealthy old white men lies a great danger. Most of you know J.K. Rowling as the author of the Harry Potter books which have become immensely popular over the last decade, with each one of them having a movie based on it. I’ll be the first to admit that contrary to pretty much everyone, I never really liked the Harry Potter series. My exposition to it was limited to the first fifty pages of the first book and to the first movie. I can’t really explain it, but it just never stuck with me. In any case, regardless of whether you liked Harry Potter or not, you’ll probably be interested in J.K. Rowling’s first attempt at an adult novel (no, not that kind of adult novel), The Casual Vacancy. Tom Ryan was a newspaperman like many others before him, and nothing really set him apart from anyone else. However, on a sad day one his very close friends passed away from cancer, an even which ended up spinning Tom inside out, making him re-evaluate his own life and his decisions. As a manner of paying tribute to his deceased friend, Tom decided to do the most daring thing he will probably attempt in his lifetime: climbing the forty-eight four-thousand foot peaks found in New Hampshire… twice in a single winter. Apart from paying tribute to his friend, Ryan’s exploits would also be an effort to raise money for charity. 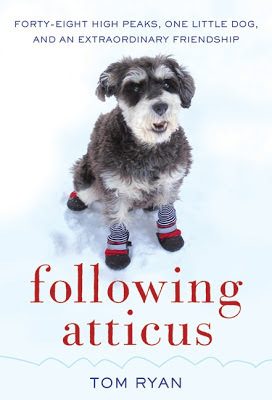 In Following Atticus, Tom Ryan chronicles his adventures, his perilous journeys across the snowy mountains only in the company of one of his best friends, his dog. However, the book goes much deeper than simply stating facts about what happened on the journey. When he sets out on it, Tom can be described as a bit of a pessimist, or perhaps cold-hearted would be more appropriate. However, as he goes on and on with his journey, it seems his heart starts to melt as he begins to really appreciate the greatness and beauty of what he lays his eyes upon. Another interesting facet of Following Atticus is the relationship between Tom and his dog. I guarantee that those of you who are dog owners will be reading the passages about Atticus with a big smile on your faces, and if you never had the fortune of owning one, then you will be quite amazed at how intelligent, sensitive, comprehensive and communicative dogs can be. I’d rather not go too deep into the events that occur in the book for fear of spoiling it, but from the way I saw it, in the big scheme of things, Atticus had the bigger, more important role on this journey… he may even have been the reason Tom was able to go through with his plan in the first place. Tom Ryan is the founder of the Undertoad newspaper, and came to the public's attention upon publishing Following Atticus, wherein he detailed the journey he undertook with his faithful dog to climb the 450 mountain peaks in America, some of several thousand feet. He was inducted into the Massachusetts Society for Prevention of Cruelty to Animals Hall of Fame after after raising thousands of dollars for the Angell Animal Medical Center located in Jamaica Plain, Massachusetts. I’m sure that many of you have heard of this book right about now; ever since it was published in 2001 it has become more and more popular, which may very well be God’s way of laughing at the five publishing houses that decided to reject it. In any case, a feature film has just been released about it(or has it already been released a long time ago? I can’t possibly predict when you are going to be reading this), and needless to say, more and more people are wondering what it’s all about… it actually reminds me of all the Matrix buzz back when it came out; everyone knew about it, but most didn't have a clue what the plot was. 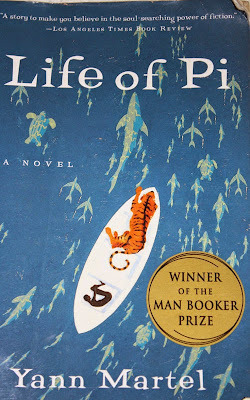 In any case, The Life of Pi by Yann Martel is a fantasy adventure novel that is divided into three main parts. The first one revolves around Pi himself (he was named Piscine Molitor Padel in honor of a French swimming pool, the most evil kind of pool there is) reminiscing about his childhood as an adult. The second part is probably the one everyone heard about, the one where he gets stuck on a boat with a tiger. Well, the story behind it goes something like this: Pi was on a small ship carrying his parents’ zoo’s animals from Japan to Canada, and it got hit by a storm. Pi awakes and finds himself in the company of an orangutan, a zebra, a hyena and a Bengal tiger. The hyena gets hungry and eats the Zebra and Orangutan, but then the Bengal tiger, appropriately named Richard Parker, eats the Hyena. And so begins Pi’s adventure on the high seas, to keep himself alive as well as his companion, Richard Parker. Not only does he have to make sure he doesn't starve, Pi also has to keep his striped little friend happy, lest he gets really hungry. I won’t go into what the third part is about, just out of fear of spoiling how the second one ends, but rest assured all of them are equally entertaining. All in all I was actually kind of pleasantly surprised at how light-hearted the story was, despite Pi being delusional from being on the brink of death half the time, and, you know, the part about constantly being trapped on a boat with one of the world’s deadliest animals. Throughout it all we get to see Pi’s point of view of the situation, his thoughts about how he should proceed to survive, and of course, his philosophies about what is happening around him, and why. Perhaps what drew me to like Pi’s point of view is that he isn't really a Westerner, at least in origin, and it shows in the calmness and perceptiveness of this thoughts. Yann Martel is a Spanish-Canadian author who was, most notably, awarded the Man Booker Prize for Life of Pi, a novel that made heads turn on an international level. He was also awarded the 2001 Hugh MacLennan Prize for Fiction, as well as the 2001 – 2003 Asian/Pacific American Award for Literature. While our kids may not be able to believe it, all of us were teenagers once, and we all went (or are going or will go through, for our younger readers) through a coming of age period. While in the moment it may have seemed quite overwhelming, and in some cases not a lot of fun, in hindsight it’s a whole different story… many adults talk about it as one of the best periods in their lives. As such, it’s no wonder that countless books have been written around the concept of "coming of age". However, at some point it seems as if the books on the subject became quite repetitive; nevertheless, a few stood out, at least in my opinion, and one of them is The Perks of Being a Wallflower by Stephen Chbosky, which by the way had a feature movie released about it recently. Just as a side note before beginning, The Perks of Being a Wallflower was first published in 1999 by Chbosky, and in 2012 a feature movie by the same name was released, starring Logan Lerman, Paul Rudd and Emma Watson. I haven’t checked out the movie, but it has a rating of 8.5 on IMDB, which is kind of a major accomplishment, so I’ll let the decision of whether or not to watch it in your hands without giving any opinion. For those who aren’t familiar with what all the buzz is about, The Perks of Being a Wallflower follows the life of Charlie, a fifteen year-old freshman in high school. The story is narrated through Charlie’s letters which he is sending to an anonymous friend. Just so you know, the story isn’t about who Charlie is writing his letters to; it’s about the relatively painful life he is going through. Needless to say, he experiences many things for the first time, both good and bad ones, sometimes together, as is the case when he had his first beer and saw a girl being raped. The way I see it, what makes this book truly special is the combination of brutal honesty and philosophical questioning demonstrated in Charlie’s letters. He doesn’t simply wander from one even to the next, he thinks, and it seems he has gotten quite good at it… some might say his thoughts are a bit too developed for a fifteen year-old, but I guess that’s way beside the point. The most interesting aspect of Charlie’s approach, in my opinion, is his tendency to question people’s true motivations for what they are doing, whether they can control them or if they are prisoners to them. All in all, regardless of how old you are, whether you are still in high school or have retired from the workforce long ago, you will find something to keep you hooked to this novel, whether it’s being able to identify with Charlie’s feelings or the simple nostalgia of remembering your own coming of age. Stephen Chbosky, born in Pittsburgh, is an American novelist who has also dabbled in cinema, being a screenwriter and even a film director, with his most famous work of writing being The Perks of Being a Wallflower, recently made into a major motion picture that was extremely well-received by all. Tom Sherbourne spent four years of his life fighting on the Western Front, and at long last he returns to his homeland of Australia where he becomes a lighthouse keeper on a piece of land, along with his young and beautiful wife Isabel. Unfortunately, during their time together Isabelle has suffered through two miscarriages and one stillbirth… however, it seems that God smiled on her when a dead man with a living baby washed up on shore. While Tom wants to report the incident, Isabel convinces him to keep the baby and let it grow as their own. However, at some point they return to the mainland and remember that there are other people in this world, and one of them is in pain and agony because of the decision they made. I won’t really go into greater detail, but if you believe to be able to deduce the twist in the story, you shouldn't shy away from reading it. As a matter of fact, it is quite easy to understand how the couple’s decision to keep a stranger’s baby could affect someone else. However, The Light Between Oceans by M.L . Stedman is not exactly about the story, which only really serves as a setting for the book’s true intentions, a character study. Many themes are explored in this book, including how to interpret acts of God, how your actions can have extremely far-reaching consequences, what is justice, and others. 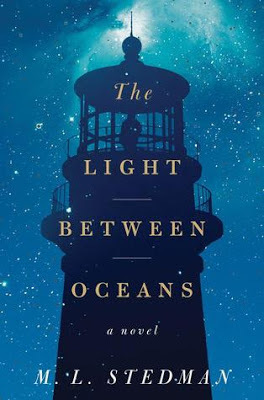 If you are looking for some kind of answer in The Light Between Oceans by M.L. Stedman, then I’ll have to disappoint you: he doesn't really provide any. As the story progresses, it becomes increasingly apparent that the characters are living in a world where there are no absolute right answers, where the way things work isn't necessarily fair or logical… come to think of it, it seems we are living in the same world as they are. M. L. Stedman is, for the moment at the very least, a somewhat enigmatic author in terms of biographical information, though we do know that she was born in Western Australia, currently resides in London, and has written two books so far: The Light Between Oceans and Buzz Books 2012. Murder mysteries are a classic genre in literature, and possibly one of the most popular ones as it appeals to practically everyone out there. Solving mysteries is one of man’s favorite past-times it seems, and there are few mysteries more intriguing than murder. 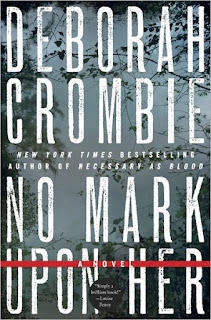 Unfortunately, I simply do not have the time to read all the murder mysteries I would like to, but No Mark Upon Her by Deborah Crombie is one I truly enjoyed recently. It starts with a K9 research team discovering a woman’s body in a river, at which point the case is dumped in the lap of Scotland Yard superintendent Duncan Kinkaid. As it turns out, the victim wasn't your average citizen; she was Rebecca Meredith, an Olympic contender on the verge of making a comeback, and needless to say, she had her share of admirers and enemies. The plot thickens even more when it is discovered that Rebecca also happens to be leading a double-life as a detective for the metropolitan police. At the same time, an investigation headed by Inspector Gemma James, Duncan’s wife, uncovers a series of brutal crimes with many possible suspects to them. Another crime is added to that chain as a murder attempt is committed on the member who found Rebecca’s body. I’ll stop here, but it suffices to say, the killer in this case is far from being an ordinary psycho, and what’s described above is only the beginning of an enthralling adventure. For starters, I have to say that the story in this book is phenomenal, even though it isn't exactly anything new. However, the way in which events unfold and their chronology make you impatient to find out what is going to happen next, and most importantly, who is behind all of this and why. The decisions the characters make and the actions they commit always feel logical, even when they don’t seem like it at first; nothing feels out of place. The language is relatively simple, and as you can guess, with so many plot elements the story moves at a relatively fast pace, although it does slow down in a few places. There really aren't that many layers of meaning to this book, no social criticisms or philosophies to discuss. While it is true that you could always find these elements in any book if you use your noggin hard enough, this one was made with pure entertainment in mind, and nothing else. All in all, this book allowed me to forget my real-world troubles, at least for a little while, and get lost in a universe where more exciting things are happening.To purchase it, simply click on the following link below. 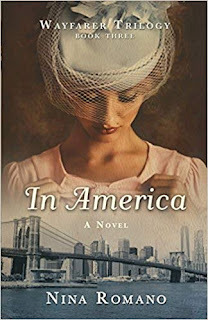 Deborah Crombie is an American author best known for coming up with the Duncan Kinkaid/ Gemma James mystery series. She was the recipient of the New York Times Best Book of the Year award for Dreaming of the Bones, and the Macavity Award in 1998 for the same book, and once again in 2009 for Necessary as Blood. Most of you know Stephen Colbert either from watching him as a correspondent on The Daily Show, or from watching him in his own show, The Colbert Report. For those who don’t know who Colbert is, I’ll try and give you a brief idea: he tackles issues ranging from global relations to cooking, and in the process he majestically explains why everyone except for him has the wrong take on the issue. One could say he is one of the true patriots this great country has. 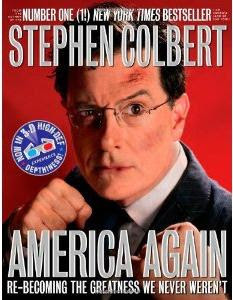 And so, it seems that Colbert has put his skills to use once again in his book titled American Again. In it, he proceeds to describe everything that is wrong with this country, including how we are indebted up to our necks to the Chinese, how all the products we have aren't even made here anymore, and most importantly, why some hotels don’t have phone buttons to contact the spa directly. As you can imagine, pointing out everything that is wrong with this country takes up quite a bit of the book, but being Colbert, he doesn't simply leave you with criticisms. Much of the book is also dedicated to providing what he knows to be the best solutions to return America to its former glory. First of all, I’d like to warn anyone not to take this book seriously, even though it does touch on many important and pressing subjects, including healthcare, Wall Street, elections, renewable energy and more. This book is simply a vehicle Colbert to put on display his broad range of humor, his ability to make people laugh by finding the humor in practically any subject or situation. If you are the kind of person who is easily offended by opinions which don’t agree with yours or by people who trivialize and laugh about important issues, then this book isn't for you. If, on the other hand, you like humor and jokes at the expense of your beloved government, then I definitely recommend this book to you. To place your order, simply head on over to the following link below. Some of you may remember the events of October 3rd, 2009, when Outpost Keating was attacked by over four hundred Taliban insurgents, with there only being fifty-three U.S. troops available to defend. While it is true that the Americans won the battle in the end, they sustained the largest number of casualties in a single battle since the start of their insurgence into the Middle East. The camp itself was located at the bottom of mountains, fourteen miles from the border with Pakistan, in the middle of desert… in other words, it was a death sentence. As a more or less official investigation opened up into the events which happened there in an attempt to never have them repeated, certain people have come to conclude that not only was Outpost Keating a poorly-chosen place, it never had any business existing at all in the first place. 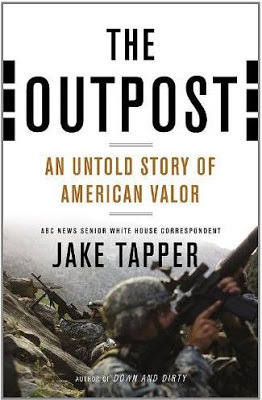 In an attempt to clarify these comments, Jake Tapper wrote his book titled The Outpost: An Untold Story of American Valor, which is basically the result of tremendous investigative journalism. In the book, Tapper discusses the events that happened and investigates what came to cause them, starting from the soldiers who were stuck in those mountains, eventually leading all the way to their commanders who are stationed in Washington D.C., and how a few small mistakes caused many soldiers to lose their lives on that day. So how is the book? Well, if like me you were fascinated by the events which occurred at Outpost Keating and simply want to read more about them, then this book is simply great. It provides plenty of interesting facts and details that haven’t been released to the public, even containing a couple of "twists". It makes for vivid read without being too fast-paced. In other words, it’s perfect for what I call a rainy Sunday afternoon mood. However, if you are hoping to read about some kind of elaborate government conspiracy in relation to Outpost Keating, then I am sorry to disappoint you, this isn't what the book is about. If you’d like to read it for yourself, simply go on over to the following link below. Jake Tapper is an American author and journalist who became in 2013 the Chief Washington Correspondent as well as an anchor for the weekday CNN show, The Lead with Jake Tapper. Amongst the many honors he was bestowed are three Merriman Smith Memorial Awards in a row, and his famous book, The Outpost, spent some time on the New York Times Bestseller list. There have been countless biographies in regards to Abraham Lincoln over many years, with countless authors having tried to dissect his life as best they could. It would seem that at this point, we pretty much have all the information about Abraham that we could ever need, and there is simply no room left for any more biographies. 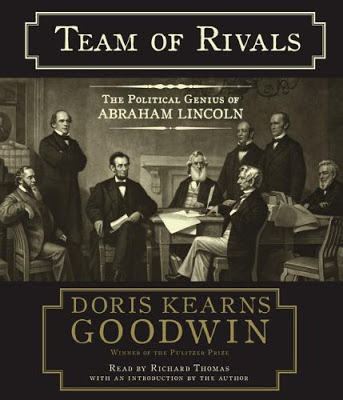 Well, at least it seemed so until Doris Kearns Goodwin went ahead and proved everybody wrong when she published her book titled Team of Rivals: The Political Genius of Abraham Lincoln. What precisely sets this autobiography apart from the others? Well, to start things off, I have to say that she does tread in familiar territory in some cases, and the information kind of seems boring and re-hashed for those who have read other Lincoln biographies. However, that doesn't last for very long as Doris turns most of her attention to three men and how Lincoln related to them. What was so special about those men? Well, all three of them held much disdain for Lincoln as he beat them for the Republican nomination in 1860. However, Lincoln put each and every one of them to use, hiring William H. Seward as secretary of the state, Salmon P. Chase as secretary of the treasury, and Edward Bates as attorney general. What gives, you ask? Well, that’s pretty much what Doris looks into: how and why Lincoln managed to turn the hate these men had for him and make them into true allies, because by the end of it, all three men had a great deal of respect and admiration for Lincoln. Doris looks into how Lincoln, above being a political sensation, was also a true connoisseur of the human spirit, someone who knew how to use everyone to his advantage without causing them harm. He knew what cards to play in order for everyone to benefit. Apart from the parts that have common information about Lincoln, I found this book to be a very interesting read as it offers a perspective on the former president which has seldom been seen anywhere. He isn't examined for his political achievements or even his personal accomplishments… only for his interpersonal skills. This actually makes him look like a very manipulative person who was more than capable of weaving webs of lies and deceit for his purposes. All in all, any fan of Lincoln should have a look at this biography, because it really does stand out, at least in my eyes, amongst all the other ones out there. In order to place an order for the book, simply go over to the following link below. Doris Kearns Goodwin (born as Doris Helen Kearns) is an American author, having written biographies, historical works as well as political commentaries. Most notable, she did the biographies of several American presidents and was even awarded the Pulitzer Prize. Some of her better-known works include The Fitzgeralds and the Kennedys and The Home Front in World War II. I've already written a review on a novel which followed the life of John Corey, The Lion’s Game. That book was published over ten years ago. Fast forward to today, and John Corey is still kicking, along with his wife Kate Mayfield, who is an FBI agent while John is part of an anti-terrorist task force. In John Corey’s latest adventure, he and his wife are sent to Yemen in hopes of tracking a high-ranking Al Qaeda operative, known as The Panther, held responsible for the bombing on the USS Cole. Needless to say, he needs to be brought down at any cost, and that cost turns out to be a deadly game of chess and cat-and-mouse. Even though this book may have been written ten years later by Nelson Demille, The Panther is still as fast-paced as any John Corey novel ever was, always keeping you on the edge of… whatever you are sitting or lying on. It is not only extremely interesting to observe how the FBI operates in order to take down the kind of threat they haven’t seen before, a true mastermind of terrorism. What’s more interesting though is to see how The Panther operates, how the brain of one man outsmarts the entire government of a nation hell bent on destroying him. It’s truly one of the most brilliant battles of wits put on paper, at least these days. Apart from that, I have to say that the way Sana’a, Yemen is depicted in this book is truly breathtaking. There are countless details that help to form an image and breathe life into a dangerous and treacherous land. Above all though, the novel raises questions pertaining to loyalty, what drives human beings, and whether or not you can ever truly know who your enemies and allies are. A riveting read that I would recommend to pretty much anyone who enjoys terror-related plots, or, of course, John Corey. 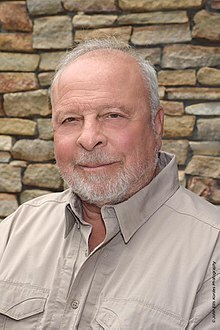 Nelson DeMille is an author of American origin who pumped out countless thriller novels during his heyday. Also known as Jack Cannon, Kurt Ladner and Brad Matthews, DeMille has published many bestsellers such as Plum Island and The Lion’s Game. Ever since 9/11 occurred it seems that every third word pronounced by people was "terrorism". Indeed, the unspeakable tragedy has opened the eyes of many Americans, showing them the true evil which lurks in some men’s hearts. Naturally, it goes without saying that many writers were inspired into writing something in relation to those events, and so we shouldn't be surprised at the amount of books related to terrorism which came out during that time. 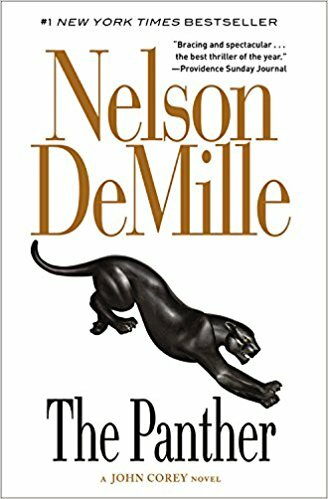 One of my favorite novels from that time is The Lion’s Game by Nelson DeMille, and before getting into why, I’d best give you a brief idea of what the story is about. 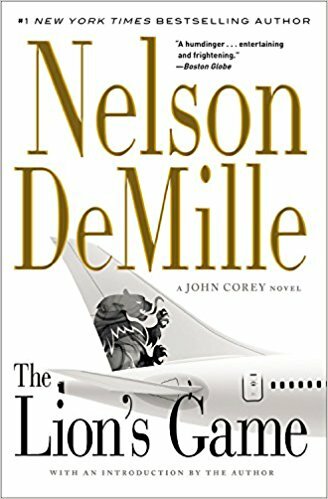 To sum it up in a nutshell, we follow detective John Corey on his mission to capture the world’s most dangerous and elusive terrorist, a young man known as "The Lion". As you can guess, the young man in question is an Arab, but don’t let such a stereotypical portrayal deter you from reading it… it’s only a small qualm certain people have with it, especially today. In any case, "The Lion" has successfully evaded capture from federal task forces, and of course, he isn't stopping any time soon; it’s John Corey’s mission to stop him. So what made me like this book so much? For starters, it’s the pace. It is simply unrelenting and it mirrors the very real race John Corey is running against time to capture the terrorist. Second of all, for a detective thriller the plot is relatively deep and by the end of it, when all is revealed, once could look at the book as a study of how the concept of terrorism and 9/11 has affected the American people and their perception of those coming from the Middle East. If you enjoy novels which follow the adventures of John Corey, or if you have a certain liking for political thrillers centred around the threat of a terror attack from some kind of mastermind, then I personally guarantee that you will find in this book what you are looking for. , and countless others. Many call him the grandfather of horror cinema, and I’m sure you can understand why if you are remotely familiar with his movies. If you are familiar with the man himself however, you’ll know that he was a very peculiar man who liked to remain more or less secluded from everyone else. When he received his Oscar, his only words were "Thank You". Doesn't get much more enigmatic than this as far as geniuses go. 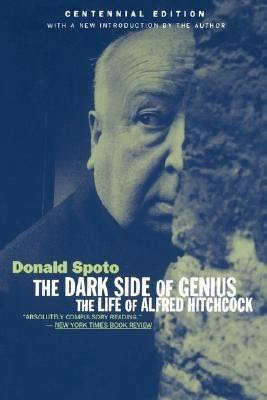 In The Dark Side of Genius: The Life of Alfred Hitchcock its author, Donald Spoto, basically attempts to explore and shed some light on the mysterious life of this movie director. Amongst other things, he tries to figure out where Hitchcock developed his obsession with blondes, and more famously, murder. All in all, it is a biography of one of the greatest cinematic geniuses in the history of moving pictures. How good of a biography is it? Well, while some people may have given it low ratings, I do not agree with them; in my opinion, it is one of the most well-researched and presented biographies there is. It is obvious that Donald has done his homework, having gathered tons of information which I’m sure even the biggest Hitchcock fans ignored. All the information is presented in a very coherent and comprehensive manner, making for a read that keeps on giving you incentive to read on further; the facts presented have been well-chosen in the sense that you aren't bored with completely trivial and unremarkable information. All in all, if what you are looking for is a biography that will help you get acquainted with one of cinema’s most revered titans, The Dark Side of Genius is what I recommend for you.To get your hands on the book simply click the following link below. Donald Spoto is an American writer and theologian who has dedicated much of his literary work to biographies. Amongst the many fascinating personalities he has written on one can find many film and theater celebrities, including Alfred Hitchcock, Marilyn Monroe, James Dean and Ingrid Bergman. Some of his other works, such as Diana and The Hidden Jesus, place the focus on historical personalities. It seems sort of surprising that the province of Quebec, Canada doesn't pop up in literature often… perhaps such is the case because it was overshadowed by Canada’s image. Make no mistake, while Quebec is indeed a great place to live, it has a very violent history, not to mention that it contains the biggest Hell’s Angels Chapter and serves as the "base of operations" for the Italian mafia in Canada due to the massively important port located in Montreal. 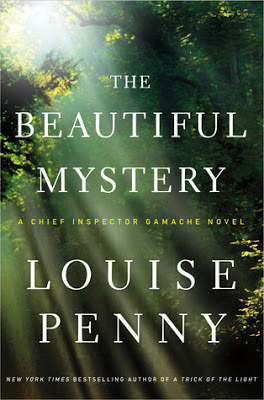 In any case, what I’m getting at is that Quebec is no stranger to crime and murder, and it seems Louise Penny makes it her job to showcase that in her novel titled The Beautiful Mystery: A Chief Inspector Gamache Novel. To give you a brief overview of the story, it begins by presenting a relatively secluded cloister of monks who have taken a vow of silence, but, ironically, sing and have actually become quite known for it. They spend their lives in the simplest ways possible, raising chickens, growing vegetables, and, of course, singing. The monastery had a tradition of keeping its doors locked for outsiders, but it was broken for the first time to admit Chief Inspector Armand Gamache; the choir director was found murdered. Needless to say, the deeper Gamache gets into his investigation, the more it becomes apparent that under the harmless appearances, something foul is brewing amongst the monks. To be fair, this is what you would expect from a run-of-the-mill murder investigation, but it goes a few notches beyond that. For instance, while the setting isn't exactly groundbreaking, it isn't seen very often as far as murder mysteries go. It actually forces the main character, Gamache, to make some careful considerations on how to approach those who follow their own ancient ways, those divine men of God, in order to find the murderer amongst them. Once again, it doesn't make this boo exactly groundbreaking, but it does add an extra dimension of intrigue, the fact that we, just like Gamache, know very little about the world in which we are embarked into. All in all, it makes for a very entertaining read and I recommend it to anyone who likes old-fashioned whodunit novels with a new twist. Louise Penny is a Canadian author who has taken to writing mystery novels where the events unfold in the province of Quebec, following the inspector Armand Gamache. Some of her better-known novels include Still Life which earned her the 2005 New Blood Dagger Award, and A Fatal Grace which was the winner of the 2007 Agatha Award. We all know the classic play of Hamlet by Shakespeare; some of us have had it engrained in our skulls during our school years. Regardless, the point is that the story has been around for a long time, and if you look around, you’ll see that many authors have taken the liberty of adding their own twists to it. Tom Stoppard is one of these authors, and in my opinion, his twist is one of the more clever ones. 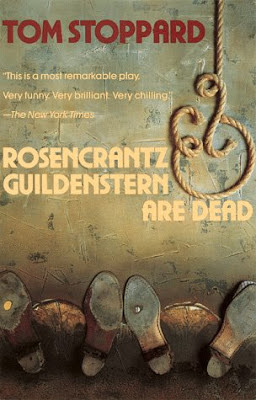 In Rosencrants and Guildenstem Are Dead, Tom Stoppard recounts the story of Hamlet with only one minor difference: it is done from the perspective of two minor characters, Rosencrants and Guildenstem. While it may not sound like a very innovative twist, just bear with me for a paragraph or two. I believe that even Tom Stoppard wasn't sure about his idea until the work has been fleshed out. By placing two minor characters in the lead roles, the story started to take somewhat different twists and turns, by the end, becoming unrecognizable, at least when compared to the original play. Without giving too much away, I can say that this little twist affected the play in a very humorous manner; after all, the two minor characters were never designed to rise up to the leading roles, making them quite, unprepared, for lack of a better word, for the story they have been thrust in. This gives way to a number of comic situations… however, it seems that a tragic ending cannot be avoided in the story of Hamlet. Once again though, whether or not it’s a tragedy really depends on your point of view. In my opinion, this is one of the most original novels I’ve read in my lifetime, and I highly recommend that you read it, regardless of what your taste in literature is… you’ll be very hard-pressed to find anything else like it, at least from an originality perspective. I really don’t want to give anything else away about the book and let you discover its magic for yourself. Tom Stoppard is a British playwright who is of Czech nationality originally, and was actually knighted in 1997. He has been dishing out works of writing one after the next over decades, and amongst them are many prominent ones such as Professional Foul, Brazil, Shakespeare in Love and his sole novel, Lord Malquist and Mr. Moon. Ernest Cline is a young author whose debut novel, Ready Player One, has earned a tremendous following of people who simply cannot wait for him to bang out his next masterpiece. 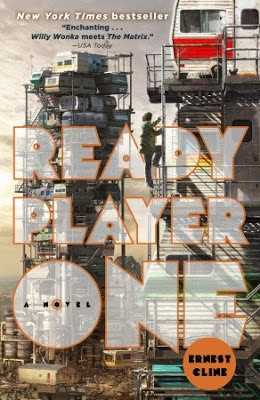 In this article, I’d like to discuss why I believe Ernest Cline to be an author you should keep an eye on, and of course, what makes Ready Player One such a compelling read. To give you a bit of context, Ready Player One happens in the year 2044 where most people distract themselves from their daily troubles by plugging their minds a-la-Matrix into the OASIS, a virtual utopia where anyone can be whatever they want, on any planet they want. The creator of the OASIS, James Halliday, seems to be the kind who gets easily bored; after putting his God-like powers to use and creating a whole virtual world, he hid a number of puzzles in it which eventually are supposed to lead those who solve them to the ultimate prize which grants them; unlimited power and that kind of stuff. Naturally, the protagonist, named Wade Watts, stumbles upon the first puzzles, at which point a hunt ensues, both in the real and virtual world, to find that source of unlimited power. First off, I’d like to say that the plot itself is rather intriguing, and the setting makes it so that you don’t really have to suspend your disbelief should something quite unrealistic happen. In other words, with much of the story set in a virtual world, Ernest gave himself the freedom to come up with more surrealistic events, something which I always appreciate. From a technical standpoint, the novel was written with a no-nonsense approach, which was quite welcome; there aren't any long and tedious passages (not that I remember anyways), and if you've read my reviews before, you’ll know it’s one of the things I hate the most. The action moves at a brisk pace, and both the real and virtual worlds have quite a lot of action happening in them. In addition, I’d like to note that apart from being an enthralling read for the story and characters, it can also be seen as a social commentary on our habit of disconnecting ourselves from the real world and spending our time in a virtual one in hopes of forgetting about our troubles. However, regardless of how long we spend in that virtual world, the real one is what remains, and it’s the one we will inevitably have to deal with. If Ernest is to be believed, in the end, the real world will only serve for subsistence while all other aspects of life will be performed through a system such as the OASIS, where people can be what they want, look like they want and do what they want… after all, this is the kind of lie most people wouldn't have trouble living. Ernest Cline describes himself as a spoken word artist, a screenwriter, and of course, a novelist. He spent most of his younger years working with computers and technology, which heavily influences his writing, or at the very least it did in his first and breakthrough novel, Ready Player One. Jon Ronson has always been known for his willingness to write about the facts which are stranger than fiction. As it happens, the world has more than enough weirdness to go around, and Jon has made it his goal to explore that weirdness, and bring it to the rest of us, no matter how it may be, in a way which allows us to relate to it, and that’s precisely what he did in Lost at Sea, his latest novel right after his widely-acclaimed The Psychopath Test. So what kind of weirdness does Jon talk about in his book? Well, to give you a brief glimpse into what his writing holds, he basically covers many of the bizarre things people believe. For instance, he looks into the case of a pop singer who awaits only one thing: the inevitable alien invasion. If that’s not to your liking, perhaps you are going to like the passage where he explores the concept of there being robots amongst us, programmed with emotions, or the part where he investigates the tactics used by credit card companies. It’s truly a melting pot of all kinds of things, and the only factor which they truly have in common is their weirdness (or the fact that you didn't know about them before). What I liked about this book is that contrary to most other works of writing, this one looks at what may seem like fringe groups of society, people who believe things which most of us are willing to deny as fantasy. However, as the book progresses further and further and he reveals more details about the people involved in his mysteries, it became apparent to me that these people weren't crazy or outlandish, nor were their beliefs… sure, what they think may not be in tune with what we believe, but in the end, they were still regular people. After all, how can you prove that an alien invasion isn't coming? (Yes, I know the burden of proof lies on the one who thinks its coming, but the point is, in this world, we know nothing for sure). All in all, I find it to be an enthralling exploration of humanity’s weirdness.If you’d like to place your order for Jon Ronson’s latest work, just head on over to the following link below. 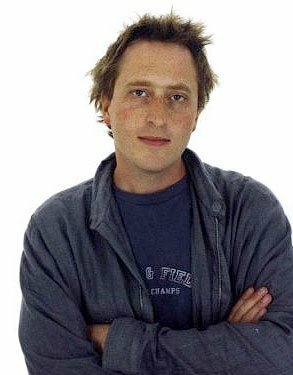 Jon Ronson is a journalist of Welsh ethnicity, a radio presenter, a documentary filmmaker, a so-called gonzo journalist, and of course, an author, who as it happens specializes in non-fiction. The Men Who Stare at Goats, one of his more popular books, was actually adapted into a major movie, and some of his other works have certainly ensured he be noticed, and those include The Psychopath Test and Lost at Sea. 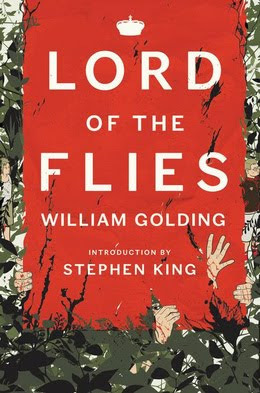 First of all, I have to say that Lord of the Flies is one of my all-time favorite books, and I’m quite happy at getting the opportunity to review it. It’s basically about how a bunch of small boys survive after getting washed up on a deserted island (well, except for a few pigs). At first, it may sound like a premise for some kind of slapstick comedy, however it becomes everything but that. The boys stick together, elect a leader, and try to survive by building huts, hunting and gathering. However, soon enough their minds start playing tricks on them, turning them against one another… I won’t spoil it for those who haven’t read it, but it contains shades of violence, brutality and sheer terror that are made much worse by the fact that it happens to little boys, yet uncorrupted by the world. More than being a story, Lord of the Flies is an exploration of human nature, an attempt to demonstrate the fact that it is defective for one reason or another, and the way this demonstration attempt is made is what makes this novel so enthralling in my opinion. Practically every topic of survival in a small and disorganized society governed by pure human nature, including food, shelter, allegiances, formation of tribes, installation of rules and understandings, and most notably, fear. There is one thing above all the other ones which engraved this book into my memory, and it’s the concept of the beast. At night, the boys were hearing sounds coming from the forest, and it wasn’t long before some of them claimed to have seen something moving. Naturally, the next logical step after that, for the boys at least, is to dub whatever is stalking them out there as the beast. However, none ever get to see it. One day, they catch a pig, gut it, take its meat off, and put the head on a spike to rot, and hopefully scare the beast away. And that moment something became quite apparent to me, and it’s that as much as they were afraid of the unknown, the beast was only in their heads, created by their own beastly nature. There is something different about seeing how the evil in man’s heart can express itself, rather than simply knowing about it. In any case, the book itself is far from being complex (some schools use it as reading material) and can cater to everyone from young teenagers to adults. Everyone will find something in this book that appeals to them, and the way I see it, it’s a groundbreaking character study with few others on the same level, and it deserves to be read at least once by everyone… if anything, it will make you think about yourself, who you really are deep down inside. The concept of the dystopian future was once extremely popular amongst science-fiction writers, and very few have capitalized on it as well as Ray Bradbury in his novel Fahrenheit 451¸at least in my opinion. Before getting into what I think about it though, I just want to give a quick recap of what it’s about for those unfamiliar with or have forgotten it. 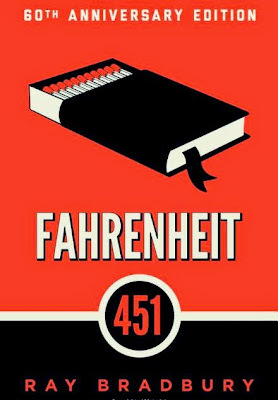 In Fahrenheit 451, we follow the life of Guy Montag, a fireman… in the sense that he burns illegal possessions in the name of the government, such as books, and the houses they are stored in. Being oblivious to what he is doing (destroying culture), Guy returns to his wife every night to live out his bleak and bland life. One day, however, he meets a young woman named Clarisse who shows him how life used to be one day, before this lifeless present came to be. Eventually, Montag begins to put everything he knows into question, eventually giving in to the pleasure of literature. Unfortunately for him though, keeping books in his house wasn't such a hot idea as he does get discovered eventually and is forced to go on the run as his own government goes after him. Bill O’Reilly has always been known as a bit of a smart sensationalist who can make even big and important issues understandable to the layman. He runs his own show, and despite having some personal biases and preferences, he does his best to depict and describe things the way in which he truly sees them. 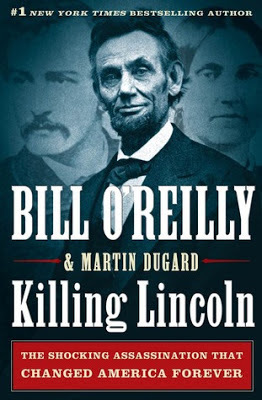 Many people, me included, find it commendable that he turned his efforts to writing books, as he does a pretty good job at it, as can be seen in what is arguably his and Martin Dugards's most famous work, Killing Lincoln: The Shocking Assassination that Changed America Forever. So what does Bill hope to find in an assassination that happened over a hundred years ago? Well, for those who were hoping for him to reveal some kind of amazing truth and unprecedented discoveries, then I’m sorry to disappoint you, it isn't about that. Bill doesn't look into every single little detail of Lincoln’s life… that’s simply not the focus of the book. Instead, Bill took this historic event, recounted it with all the important facts and relevant details, in a style that makes it seem more like a novel than a historic account. What did I think of the book itself? Well, for starters, I will admit that I was a bit disappointed by the lack of truly new materials and discoveries… however, for those who aren't familiar with Abraham’s assassination, Killing Lincoln will provide plenty of juicy facts, many of which will actually seem surprising and will prompt you to keep on reading. Naturally, the events are described with vivid detail, meaning that some of it had to come from Bill’s head, but I didn't find it to be a problem considering it only made things more interesting without making them any less true. The writing style itself is brisk, relatively-fast paced, and factual all while providing concise descriptions which truly paint a lively picture of the people and events. It is true that this is one of those books you either love or hate, but I would recommend reading it while expecting to be entertained by historic events told in an engaging matter… if you expect more from it, then you should probably look for authors other than Bill O’Reilly. If you’d like to place your order for this book, simply head on over to the following link below. 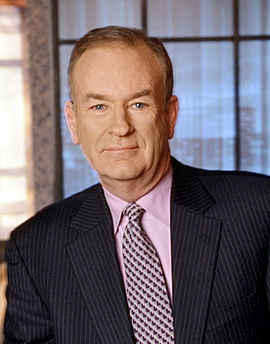 Bill O’Reilly is a famous American television show host, columnist, political commentator, and author. He is the host of his own show, The O’Reilly Factor on Fox News, and has penned more than ten books, including the Killing [Assassinated President] series. 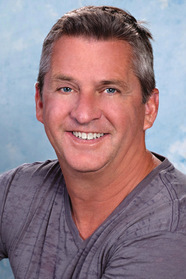 Martin Dugard was born in Maine, and is American author living his days away in the beautiful state of California. Many of his books are in-depth explorations of real concepts or events that occurred, not to mention he is the co-writer of the Killing [Insert Name Here] series.